Disclaimer: I received this popcorn ball kit from GoodCook for free. All opinions are my own. 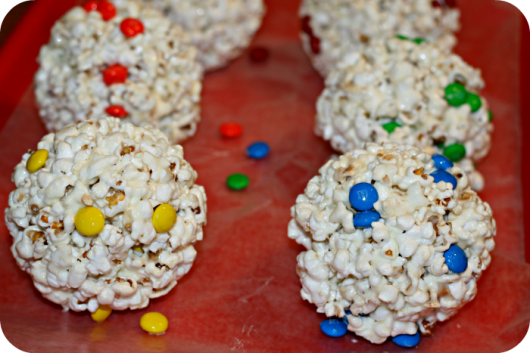 Head on over to GoodCook for more popcorn ball tips! Recently I was sent one of the coolest review kits I’ve received as a blogger. 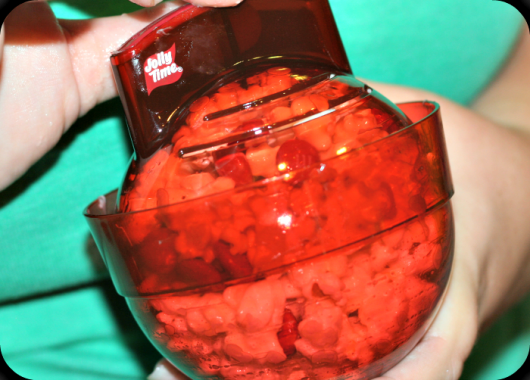 It was a popcorn ball kit from GoodCook! This package was filled to the brim with goodies galore! My absolute favorite was the Popcorn Baller though. 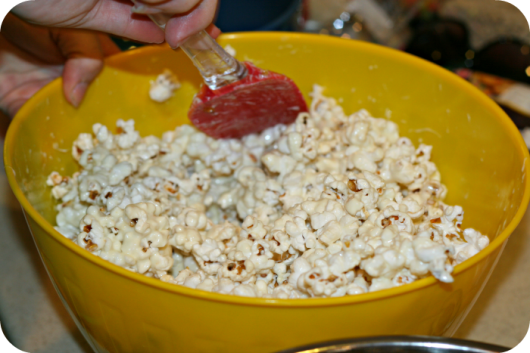 There is a way to make popcorn balls that doesn’t involve burning the crud out of your hands? SIGN ME UP! 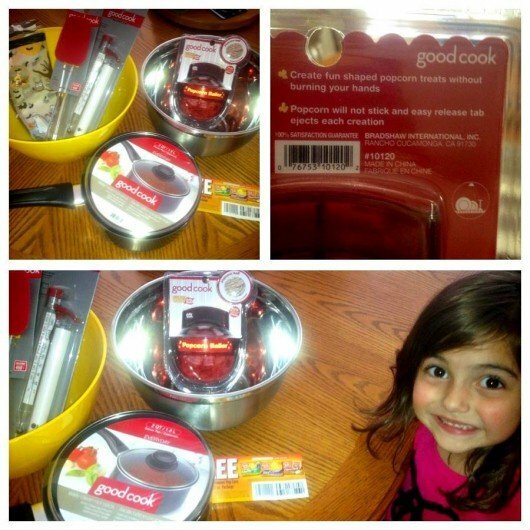 My daughter was very excited about this GoodCook Popcorn Ball kit as well. Since we were planning a playdate with some friends of hers, she asked if we could make popcorn balls for her and her friends. This was an “educational” preschool playdate. 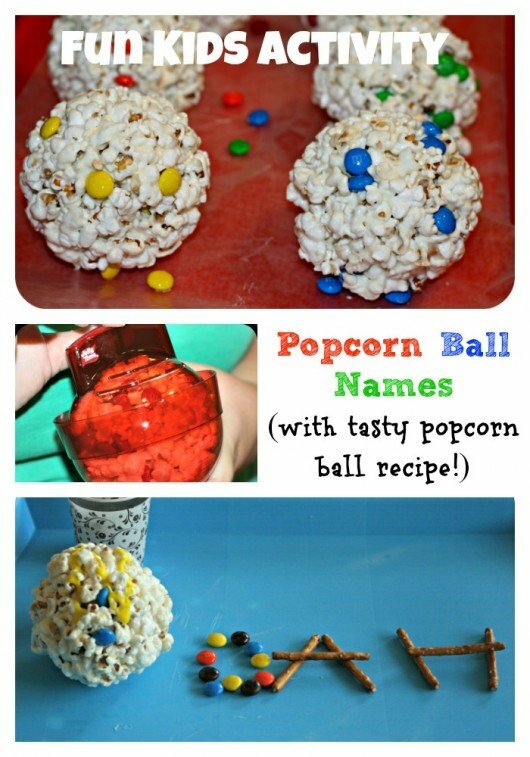 So you know I had to find a way to incorporate our popcorn balls into some kind of learning activity! All the kiddos that were going to be at the playdate were going to be around 4 years old. Prime “Learn to Spell Your Name” age! We decided to incorporate pretzels and m&m’s in our Popcorn Ball name activity. I did NOT put pretzels into the popcorn ball simply because I was nervous that the 4 year olds would choke on them if they were hidden in the ball. So we just added the m&m’s to the popcorn mixture prior to shaping the popcorn into balls with the Amazing Fantastic Incredible GoodCook Popcorn Baller! Next, we put some pretzel sticks and m&m’s in a small cup and wrote the first inital of each child on a popcorn ball. Then during the party, they had to “create” the rest of their name with the m&m’s and pretzels! This was actually a great hands activity for the 4 year olds because they had to troubleshoot which letters were made more easily with pretzel sticks and which ones could only be made with M&M’s. The popcorn balls were great, and I know we’ll make some more (less educational, ha!) in a few weeks for Halloween. 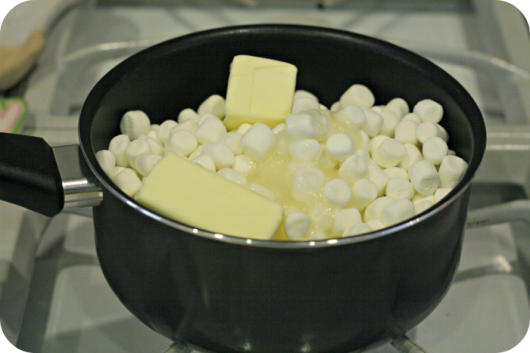 Pour marshmallow mixture over the popcorn and mix well. 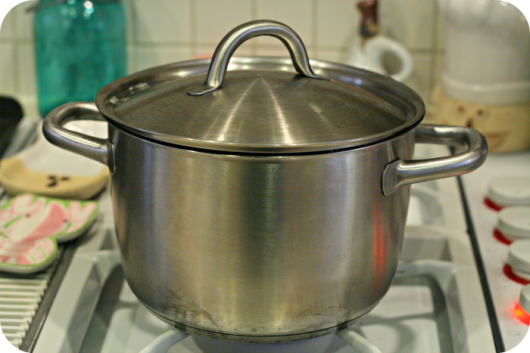 Allow to cool slightly. 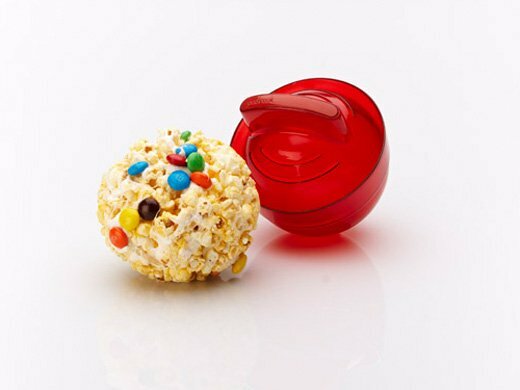 Right now youcan get 25% off the Good Cook Popcorn Ballers on goodcook.com when you use the coupon code POPCORN.